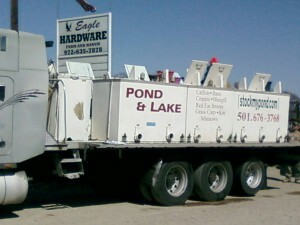 Looking to stock your pond or lake? Are you a feed store looking to provide fish for your customers? Stock My Pond provides fish delivery service to your pond or lake! 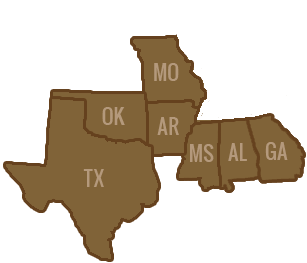 Our fish trucks serve several states with quality fish for your ponds and lakes, including Alabama, Arkansas, Georgia, Mississippi, Oklahoma, and Texas. We provide quality fish including Channel Catfish, Bass, Crappie, Redear Bream, Hybrid Bluegill, Coppernose Bluegill, Grass Carp, Minnows and even decorative Koi. 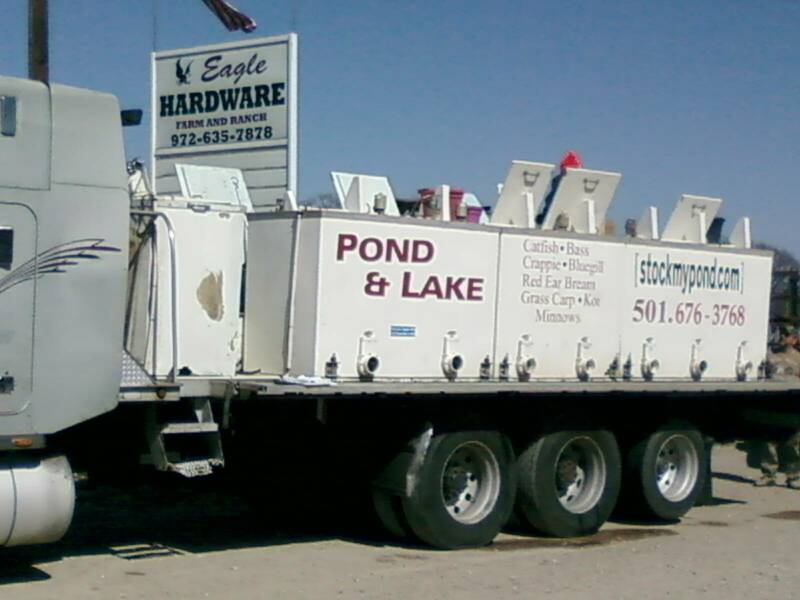 Stock My Pond delivers directly to you, give us a call and let us know what you need or call to discuss your pond size so we can help you determine the right about of fish for your pond or lake. Stock My Pond provides quality products! Interested in pond aeration products, fertilizers, fountains or fish feeders? We can help! View our options in the product section of this website. Our business is seasonal, call to determine what fish we have available. Payment Methods: Our trucks take cash, credit, debit and checks. Stock Pricing varies per state.